I haven’t blogged for a while. And when I say a while I mean a month. I’ve been trying to crack down on my writers block by breaking up with the internet. It worked and I now have 100 pages written of my new story. I checked my email for the first time in ages and found that despite my terribly long hiatus I got a few new followers (hello and welcome) and was nominated for an award. 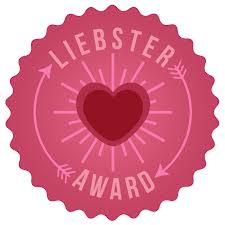 Thank you for nominating me for the Liebster Award, thoughtorchardblog. As far as I can gather, the rules are to as follows. Look at that badge. Ain’t it the prettiest darned thing you’ve ever seen? Who makes these anyways? 1. Which of these do you think is humanity’s worst trait: duplicity, ignorance, selfishness, cowardice or aggression? Selfishness. I think if we thought more of protecting each other instead of meeting our immediate needs we wouldn’t have problems like hunger, poverty, and even environmental problems. 2. In your opinion, are you a peaceful person? To others I may seem like it and at times I do feel pretty chill. I’m always the one who’s looking on the bright side of things. But secretly I get very easily stressed. 3. What’s the most stupid/illogical thing you’ve ever done? In my last year of elementary school I tried to sneak a peace symbol into the class photo and the photographer totally noticed. My teacher yelled at me in front of the whole class. I never get in trouble so it was really embarrassing. 4. Do you think humans are all naturally selfish? Definitely. Although much of it relies on the person, I think it’s instinct to provide for yourself before others. Even when people have more than they need they will still instinctively want more for themselves. 5. Books or films? Books. Films are great, don’t get me wrong, but I find that books generally have more room for complexity and character growth, things I find to be extremely important in a story. 6. What are your five worst fears (between 4 and 6…see what I did there?)? My five worst fears are spiders, getting in trouble (pathetic, I know), messing up on stage, failing classes, and dark woods. 7. Do you agree that telling the truth and making someone cry is better than telling a lie and making someone smile? I believe it depends on what is making them cry. If having them smile is more important than them knowing them the truth I think it’s okay to lie. But if it’s something they really need to know I wouldn’t hesitate in telling them the truth. 8. Would you die to save someone? It depends who it is. If it were my little sister I think I would. If it were some random person I don’t think I could give it all up for them. For those who I truly love, letting them die would be giving it up anyways. 9. How do you settle arguments? I listen to what they have to say. I think that’s the most important part. Then I make it clear that I know what they mean, and rationally make my point. 10. How will/did you celebrate turning 18? Well, in dream land I’d go on a road trip across Canada with my closest friends. Because my birthday is at the beginning of the school year it would be like a post graduation trip for all of us, not just for me. But in real life I think I might go the the pizza parlor where my dad bought pizza from on the day of my birth. Guess who didn’t nominate 11 bloggers? Me! Please, if you think I might like your blog could you comment somewhere asking me to check you out. I need new people to follow. 1. What are you reading right now? How do you like it? 2. When you were in school (or maybe you still are) what was your title in the social hierarchy? Were you a jock, nerd, goth, etc.? 3. Are you good or bad at making friends? 5. Were you ever talented at something that you aren’t anymore? 6. What is your favorite genre of book? 7. Do you get anxiety over little things or are you rational with your emotions? 8. Do you know your personality type (Myers-Briggs)? If so what is it and do you believe it is accurate? 9. Have you ever had an obsession with a celebrity? 10. What kind of music do you listen to? Who are your favorite artists, songs, genres, etc.? 11. How has your day been? Congrats you guys! Keep writing! Enjoy the new school year.